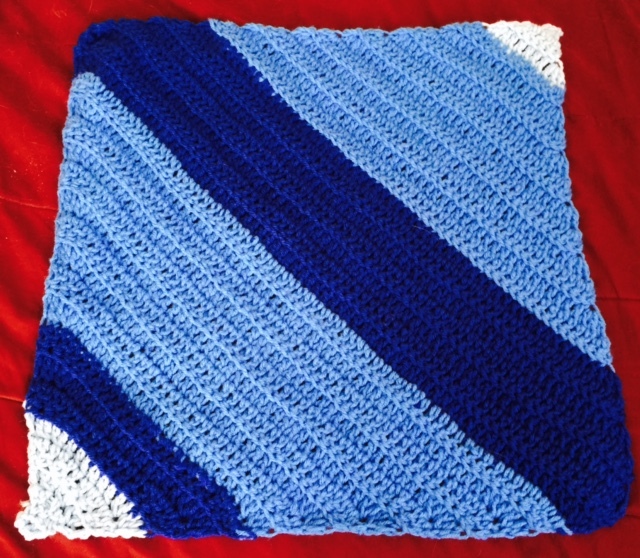 this crochet corner to corner kitty snuggle measures 18" by 18" created in red heart super saver light blue, royal and blue. Oh that is pretty. Love the colors. Oh I like that. My fave colors too. Some kitty's going to loooove that. nice job, looks like you double stranded, did you, it looks so warmie and soft!! and such a great charity! !